If you eat eggs, your garden is in luck! Eggshells contain a good dose of calcium but also provide magnesium, sulfur and potassium to the plants. These nutrients help build healthy bone structure in plants leading to stronger plants and healthier fruit. From being an organic fertilizer to helping deter slugs, this wonder shell has abundant benefits for the garden!! 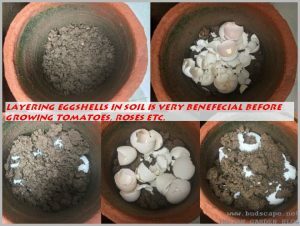 Though almost all plants that benefit from eggshells, they are particularly good for roses, tomatoes, peppers and the likes. Yes, that’s the most common practice (easy as well). Just toss the eggshells into your compost pile for an extra boost of nutrients. You can also toss them into your ECOBIN COMPOSTER if you need faster nutrients. You can do this but they will take their own sweet time to decompose so do not expect quick results. In fact, if the plant is short lived, you may actually be preparing the soil for the next plant instead of the current. This is what I like to do. In a normal terracotta pot, start with a layer of soil. Collect eggshells and layer over it. Repeat till the pot is filled. Let it decompose. Use some of this soil while potting or transplanting. It can also be used to sow seeds. The quickest way. 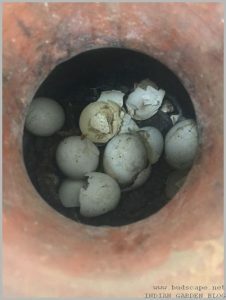 Don’t throw the water used to boil eggs. Let it cool and feed a plant of your choice. It’s an instant booster drink for plants. This is a quick way to add nutrients to potted plants or seeds. Powdered eggshells decompose faster and add nutrients quicker to the soil. This is why it a great things to add while sowing seeds. Blend a few eggshells with coffee powder and a banana peel in water. It is a health drink for flowering plants or plants that appear yellow/weak. 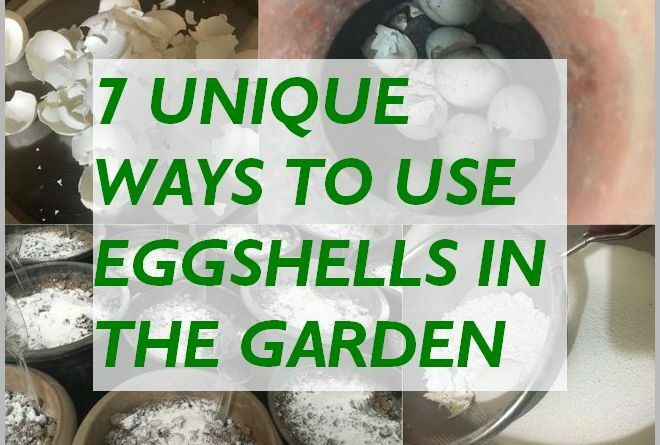 Crush some eggshells with your hands and add to soil if you want to get rid of slugs and snails. The sharp edges deter pests. 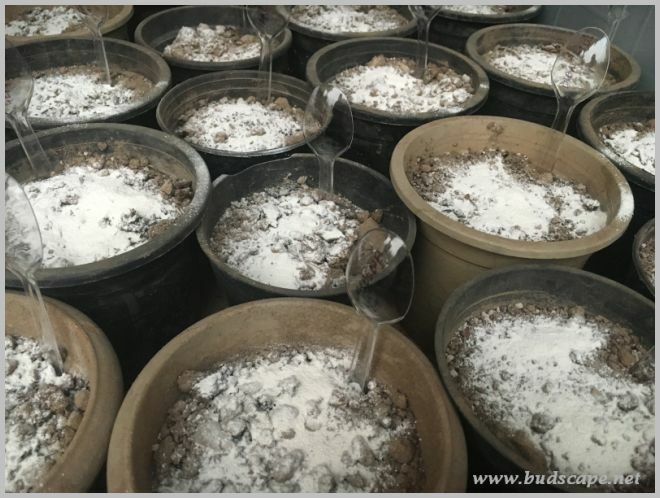 It is for the same reason that we do not add crushed eggshells to seedlings or small delicate plants. Collect eggshells in a container and let them dry completely. I collected a month’s worth of eggshells to get a good quantity of powder. Add them to a dry grinder jar and give a good whirl. At this point, be careful. Eggshell powder is very fine and flies all over the place. Do not open the jar lid immediately. After about 2 minutes open the lid, shake the jar and repeat the process a few times. Hold on, this takes a bit of patience. Sieve the powder into another container. It will fly all over the place again and you may be breathing some of it so take necessary precaution. You will be left with some coarse powder. Now you can grind this again and repeat the process or just add this residue to compost or a pot. Congrats! 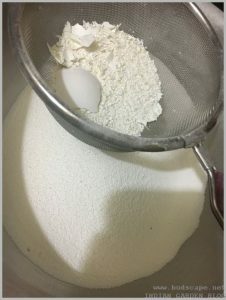 Eggshell powder is now ready. You may store it or add to pots/seeds immediately. I used mine as a top layer over seed starter mix and the results are noteworthy! That’s it folks! I hope this was helpful. 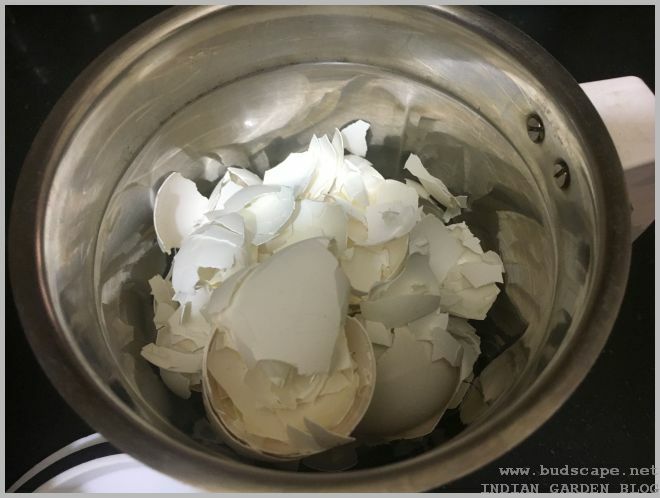 Do share your tips and experiences about using eggshell for plants.